Brush up on your negotiating skills if you’re lagging way behind in mortgage payments. The financial difficulties you’re experiencing is painting you in a corner with no recourse but to sell house fast. At this point in time, you’re moving toward damage-control mode. The urgency of the situation dictating a distressed sale means that you have to negotiate smartly in order to minimize as much as possible the loss on the equity you already have built on your home. With a well-negotiated sale, you can even perhaps make some profit if you’ve built enough equity in the house. Your lender, the bank or servicer of your housing loan, like you, has a stake in your home. Thus, you need to be straight up with your lender that you’re selling your property mortgaged to them. In our over 10 years’ experience as real estate investors, one approach that we at House Sold Easy have seen as viable is to negotiate directly with the lender’s head or manager of loss mitigation. This person is the key to resolve your situation, as he/she is in charge of ways to preserve the profit expected from the money they’ve put on the homes mortgaged to them. Lenders know that the longer your property lingers on the market, the longer it is for them to recoup their portion of their stake in your property. With this mind, your lender may allow you some concessions. You may even win a mortgage reduction in the meantime that your home is on the market to keep you current on payments and have a better leverage among buyers and sell house fast at the best price possible. By all means show that your home is worth its asking price. But don’t try to rationalize this directly with prospective buyers who more often than not make their home-buying decisions emotionally. Sure get your house all prepped up for the market, but allow your home to sell itself. Don’t try to prove that your residence answers the buyers’ exact needs. It’s only them who know exactly what they are looking for. Avoid overkill in your marketing pitch as it risks you appearing as needy, and you either lose potential buyers or lose leverage in negotiations later. One good move from sellers whom we’ve dealt with at House Sold Easy was to leave the house when prospective buyers visit the property. This way, you can better keep your cards close to your chest. You absolutely don’t need to share your life story about mortgage, divorce or other circumstances behind your sale. These information could work against you in the negotiations. Provide general answers if asked why you’re selling. Just casually respond, giving such as reasons as local weather, warmer home destinations, being closer to your folks, etc. Reveal nothing that hints to your desire to sell house fast or move quickly. Play it simple and straightforward like the way we do it at House Sold Easy. 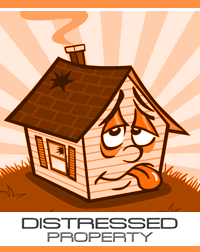 Our team of professional buyers have handled numerous distressed home sales before. Recognized as among the top real estate investors in our market, we can walk you through the sale process quickly and on mutually beneficial terms. Contact us today! Call us at 636-525-1566. Our solutions are all fair and aboveboard!